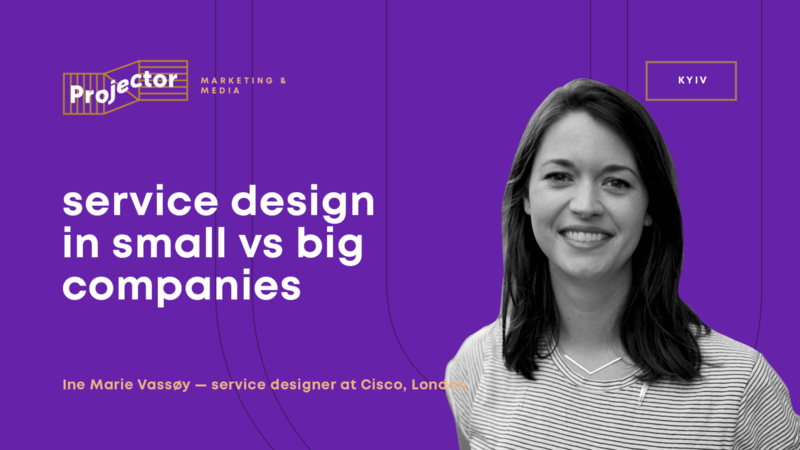 Ine Marie Vassøy — service designer at Cisco, London. Ine has also years of experience working with different agencies designing services for sectors such as healthcare, telecoms, energy, and finance. She holds an MA in Interaction Design from the Umeå Institute of Design, and has held senior positions at Designit in Norway, Fjord and Spotless in London. «For me, design thinking is a creative approach to solving problems with the use of empathy. Service companies must master design thinking and make it part of their culture. On her lecture Ine Marie Vassøy told, how is it to work as a Service Designer in a small agency versus working in-house in a large company. What impact do you have as a Service Designer in the different organizational structures.